(OCEAN CITY, Md. 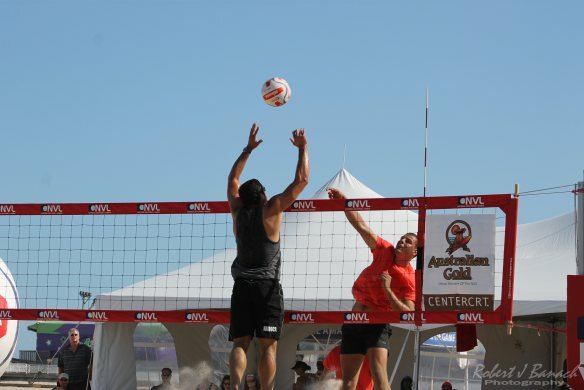 )- The National Volleyball League (NVL) is hosting its third pro tournament of the 2015 season at the Ocean City Boardwalk from May 29-31 in Ocean City.NVL is partnering with the Baltimore Ravens to host a “Clinic with the Pros” Saturday, May 30. NVL RIZE, the league’s amateur series, will host a tournament Saturday, May 30 and Sunday, May 31, as well as a PlayFIT Foundation “Clinic with the Pros” on Saturday afternoon.The event will feature a 16-team draw per gender with teams competing for a $75,000 prize purse. General admission is free to the public. VIP tickets for the event may be purchased here. The NVL is a professional beach volleyball league co-founded by 18-year beach volleyball champion Albert “AL-B” Hannemann and current pro player, Molly Menard.